So after years, and even decades, of campaigning to leave the EU, David Davis shocked us (but somehow didn’t shock us because that would imply we thought he was intelligent to begin with) with the revelation that nobody in the DeexEU had actually analysed the impact Brexit could have on the UK economy. This is bad enough. 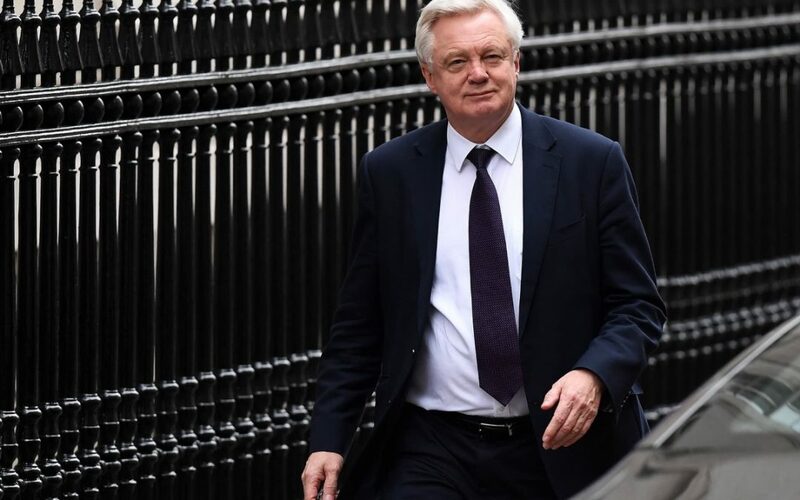 You would put more effort into buying a sofa than Mr. Davis and his band of Brexit vandals have put into figuring out if their emotional and ideological opposition to the EU might do more harm than good to the national interest. To paraphrase Upton Sinclair, you cannot get a man to understand a thing if his dream depends upon him not understanding it. But not only that, in a bizarre sequence of questioning that reminded me of a scene from ‘Outnumbered’ where Ben is caught lying, badly, Mr Davis stated that he couldn’t produce the impact reports, as compelled by the Speaker, because there weren’t any. This seemed strange given that it was the Minister’s refusal to publish the reports he claimed needed to be kept secret that led to him being sanctioned in the first place. How can you be allow yourself to be the subject of a motion for trying to avoid publishing something you know doesn’t exist, and therefore cannot be published anyway? He may as well have said that the dog ate the homework. Or maybe the reason was that he knew full well that admitting to having done no analysis at all would look foolish after all those assurances that things would be great. Do you think we will struggle to recruit nurses asked one MP, desperately trying to prise one impact assessment from the Minister. Not at all, he beamed. Nursing applications from EU nurses have fallen by 96% since June 2016. The Minister for Brexit reminds me of a terrible drunken driver like the character Withnail. When pulled over, he swears blind he hasn’t had a drink but when asked to get out of the car, he can barely take a step before tripping over his shadow. Claiming that the government had conducted detailed analyses of the impact of Brexit was like assuring us he’d only had a few ales. Failing to produce them whilst claiming they didn’t exist was like having a bottle of child’s piss instead of an ace up his sleeve. Nobody is fooled. Ranting at the Irish or Michel Barnier for highlighting the stupid complacency of the UK government is like blaming a bus queue for getting in the way of the drunk driver’s car as it veered from the road. But now the reality of UK’s Brexit folly is laid as bare as a spent match. Even the people most passionately devoted to it have no idea what impact it will have. No work has been done to understand if it is a good idea or a bad one. There are no plans or preparations in place for any likely scenario. Assumptions about being able to retain membership benefits from outside have been proved false. What remains are merely, to varying degrees, arguments based on ignorance, sentiment and prejudice – and the fact that some wealthy people will do very well out of Brexit no matter what the cost to the ordinary family. And above it all, the lie that we still have to do it because it’s what people voted for, a far greater plundering of Parliamentary sovereignty and constitutional rights – normally people have other chances to vote on a thing – than anything the EU has ever done. The ability to change course is one of the cornerstones of a healthy democracy. A system in which one vote is binding for all time would give us a government for all time, the very definition of autocracy. God forbid that it be as hopeless as this one. Instead of DeexEU, only a deus ex machina can resolve this hopeless mess. That or a second referendum to allow a more informed electorate to undo the mistakes made by the first. For given what we know now, surely it is time to ban the crazy Brexit drunks from driving the car off the road and take back control of our country and its future from inside the European Union?